Mumbai: Essar Oil (UK) Limited, which owns and operates the Stanlow Refinery, today reported robust financial results for the fiscal ending March 31st 2018.Operational and financial performance: Key Indicators (1 USD = Rs 64.394)March ending FY18 FY17 ChangeThroughput (in MMT) 7.19 9.09 (20.9%)Gross Revenue (in US $m) 5,427(Rs 34,947 cr) 4,924(Rs 32,975 cr) +10.2%CP GRM (US $/bbl) 9.4 8.4 +11.9%EBITDA (in US $m) 300(Rs 1,932 cr) 311(Rs 2,083 cr) (3.5%)Profit after Tax (in US $m) 161(Rs 1,037 cr) 168(Rs 1,125 cr) (4.2%)The refinery remains a key national asset, producing over 16% of the UK’s road transport fuel demand. Throughput in FY18 was 7.19 MMT, a reduction of 20.9% on FY17 due to the major Turnaround in Q4. Essar’s optimised reconfiguration to a single train site, material diversification of the crude slate and an ongoing focus on margin booster initiatives in recent years resulted in a delta over the benchmark margin of US $4.00/bbl, as against under US $1.00/bbl in 2012.The refinery completed the execution of all project upgrades during the turnaround. 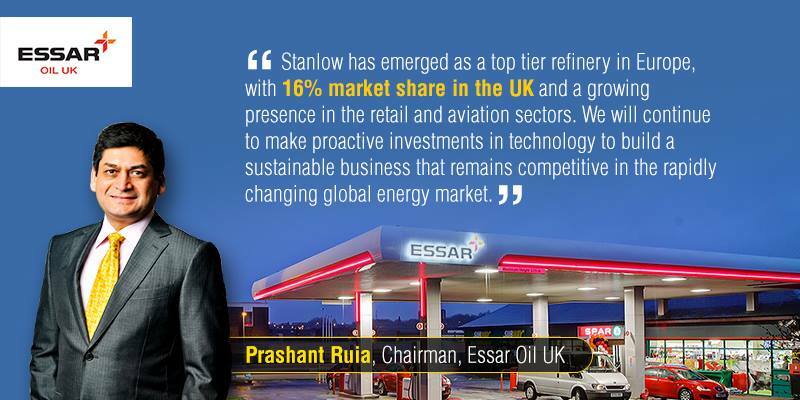 It is expected the margin improvements will yield an incremental margin of US $75 million to US $80 million annually in the prevailing market.Essar Oil UK Chairman, Prashant Ruia, said: “Stanlow has emerged as a top tier refinery in Europe, with 16% market share in the UK and a growing presence in the retail and aviation sectors. We will continue to make proactive investments in technology to build a sustainable business that remains competitive in the rapidly changing global energy market.”Essar Oil UK Chief Executive Officer, S. Thangapandian, commented: “Overall, this was ultimately a robust performance following a record breaking first six months of the financial year. The major Turnaround proved a complex and challenging period and we will ensure all learnings are rigorously understood and implemented for the future. The completion of project Tiger Cub was a major positive and is already exceeding our expectations in some respects. Going forward, the focus remains on the delivery of further margin booster initiatives to improve yields and increase volumes to grow market share.” Essar Oil UK Chief Financial Officer, Sampath P, said: “Despite the significant capex investment and planned reduction in throughput due to the Turnaround, the company still posted an EBITDA of above $300 million for the third consecutive year and a Profit after Tax (PAT) of $161 million. The major optimisation improvements implemented during the year will deliver increased margins going forward on the back of higher throughputs, reduced crude costs and enhanced higher value product yields.”Essar continues to deliver at StanlowIncluding FY18, Essar has invested over $850 million since acquiring Stanlow in July 2011, helping to turn around the business and build a company that is both profitable and sustainable. 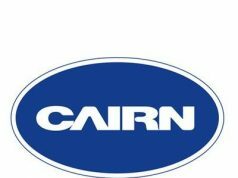 The Board has a strategic focus to further improve the financial performance of the company through the continued growth and development of the business in the UK and beyond. For the first time, the company leased storage in Rotterdam, together with blending and jetty infrastructure, in order to cater to gasoline export markets directly. A key priority is increasing share of the market for the direct supply of aviation fuel to leading carriers, with agreements now in place with airlines at a number of UK airports. Essar also remains a major player in the wholesale supply of Jet A-1 to UK airports.The award winning Essar network has grown to over 50 stations since entering the UK retail market. The first company owned, flagship site will open opposite the Stanlow Refinery later this year.Safety performance remains a core value and critical business objective, with continuous investment in Health, Safety and Environment (HSE) to further improve standards and reduce risk. The 2018 Turnaround was the safest delivered in the history of the site, with world class personal safety results.Essar Oil UK has established working capital facilities and no long term debt.